We inadvertently stayed at two of the Indiana state park inns on our last two vacations. At our second one, we found out there are actually seven in the state, and Ben thought it would be fun if we tried to visit all of them. So! We have a new goal, we are excited about it. And we love the state parks! 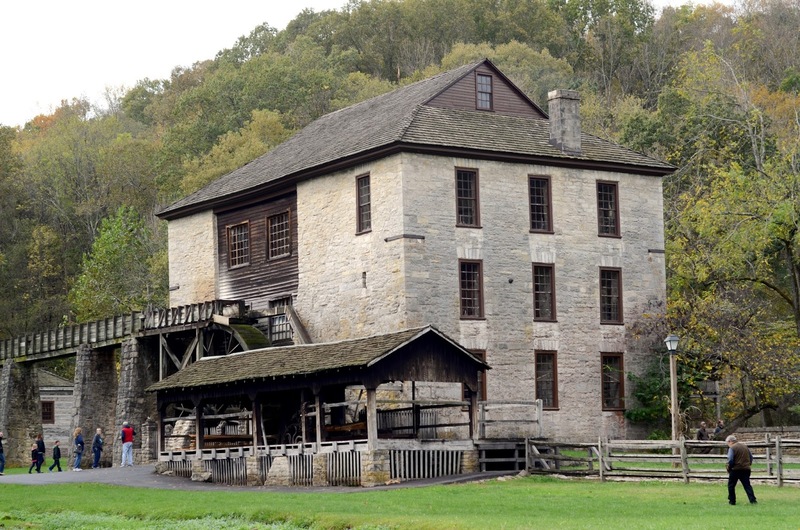 Here is the third one we've visited: Spring Mill Inn (we've also been to Turkey Run and Potawatomi). It was a beautiful fall day! We were totally enchanted by the (still working!) grist mill. The aqueduct fed the water right into the mill. They also have caves you can only reach by boat (and we were a week late for the season on that), so we can't wait to go back again!